This 98 acre gem is our "Signature Park" and home to park operations. Located on the south banks of Ford Lake, amenities include a public boat and canoe launch, fishing areas, four shelters available to rent, restrooms, basketball, volleyball, and racquetball courts, six tennis courts, ball and soccer fields, horseshoe pits, play equipment, wooded areas, plenty of open space, trails, wetlands and multiple picnic areas with picnic tables, benches, and grills. This park is staffed and gated during the park season. This 106 acre park is centrally located in the Township and is designed as a youth sports and family park. Amenities include several soccer fields, a youth baseball/softball complex, paved and natural trails, Playground Adventures - a community built accessible playground, a fully accessible picnic area and a wooded area. Located just north of the Ford Lake Dam, this 46 acre "natural" park is nestled on the north shores of the Huron River. The park includes a boardwalk and paved trails, interpretive signage, canoe/kayak and fishing docks, a shelter for rent, restrooms, several picnic areas and an abundance of natural features. This park is staffed and gated during the park season. 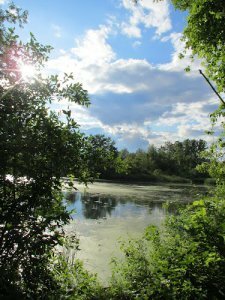 This 139 acre park is located on the west end of Ford Lake and features a boardwalk and trail system that meanders through woods, wetlands and along the shores of Ford Lake. Other features include an observation tower, islands and bridges along the trail, prime fishing, playground, two shelters, restrooms and plenty of picnic areas. This park is staffed and gated during the park season. Located on the north shore of Ford Lake, this 11.2 acre park is noted for its two award winning shelters (available for rent) and a fishing pier. The park also has trails, mature trees, play equipment, play field and restrooms. This park is staffed and gated during the park season. This beautiful 191 acre park is located on the south side of the Township and provides a unique experience in nature. 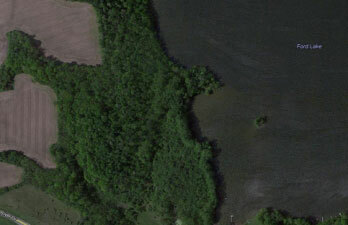 Features include a pond and creek, fishing, meadows and wooded areas. There is also an extensive mountain bike and hiking trail system throughout the park. This park is abundant with wildlife. This 25 acre park is located across the street from the Community Center. Facilities include a four diamond softball complex, picnic shelter with restrooms, playground, six tennis courts, open play area, picnic areas, wooded area and a large parking lot. 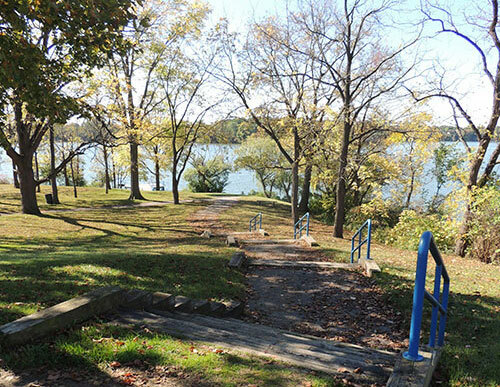 This 21 acre park is located on the south shore of Ford Lake. 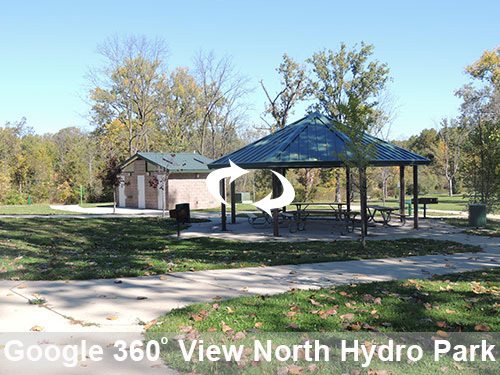 Facilities include a picnic shelter with restrooms, playground equipment, picnic areas, fishing and wooded areas. This undeveloped 26 acre parcel is located across the street from the Civic Center and rests on the southwest shore of Ford Lake. The park contains a wooded area, wetlands and steep slopes. This 4 acre park has two youth ball fields which are located next to two additional ball fields owned by the Ypsilanti National Little League. In addition, the park has playground equipment, parking lot, shelter and a concession stand with restrooms that are open when leagues games are being played.